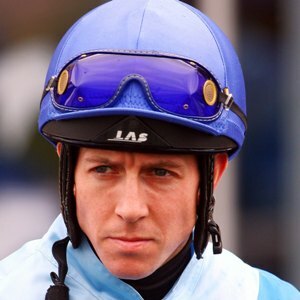 Jim Crowley failed to win a QIPCO British Champions Series race in 2016 but will always remember the year with affection after being crowned champion jockey for the first time. Crowley was a 33-1 chance to take the crown at the start of the year but emerged triumphant after a lengthy duel with Silvestre de Sousa. The 39-year-old ended the campaign with 148 winners, 16 more than De Sousa. He rode a record 46 of them during a record-breaking September. In November, Crowley was appointed new first-choice rider to owner Sheikh Hamdan Al Maktoum. That will reduce his chances of retaining his title in 2017 but increase opportunities of landing Champions Series prizes and he has already struck three times – aboard Ulysses in the Coral-Eclipse and Juddmonte International Stakes, plus aboard Here Comes When in the Qatar Sussex Stakes. Crowley hails from Ascot, where his parents trained point-to-pointers and reared him on a diet of hunting and showjumping. His first two jobs were with trainers John White and Ron Hodges and although he first made an impression as an amateur on the Flat, he soon switched his attention to jumping when attached to Sue Smith’s West Yorkshire stable. Crowley rode around 300 winners over obstacles, including the 2005 Lanzarote Hurdle on Crossbow Creek, before deciding to concentrate solely on the Flat. Based at Pulborough, he is married to trainer Amanda Perrett’s sister Lucinda and rode principally for his sister-in-law before being signed up as stable jockey to Ralph Beckett in 2010. His biggest wins on the level include Lord Shanakill in the 2009 Group 1 Prix Jean Prat at Chantilly in France and Prohibit’s victory in the King’s Stand Stakes at Royal Ascot in June 2011 – his first British Group 1 success. In 2013 he came the closest he has come to a British Classic success when partnering Secret Gesture into second place in the Investec Oaks and followed that with second place in the Ladbrokes St Leger on Talent before a third place on her in the QIPCO British Champions Fillies & Mares Stakes. In 2014 he rode a fine front-running race on Missunited in the Gold Cup at Royal Ascot, losing out by a just a neck and a short head (behind Leading Light and Estimate) for third place. On QIPCO British Champions, he rode a superb race to win the QIPCO British Champions Fillies & Mares Stakes aboard Madame Chiang.